All across the country on the 14th of every month communities are organising walks to pay respect to those who died in the Grenfell fire and also raise awareness of the campaign for justice for their families and those who have been displaced as a result of this tragedy, many of whom still remain without a permanent home. In response to the call for communities to join in solidarity with the Grenfell community, Horsham held its first silent walk on Saturday 14th July. 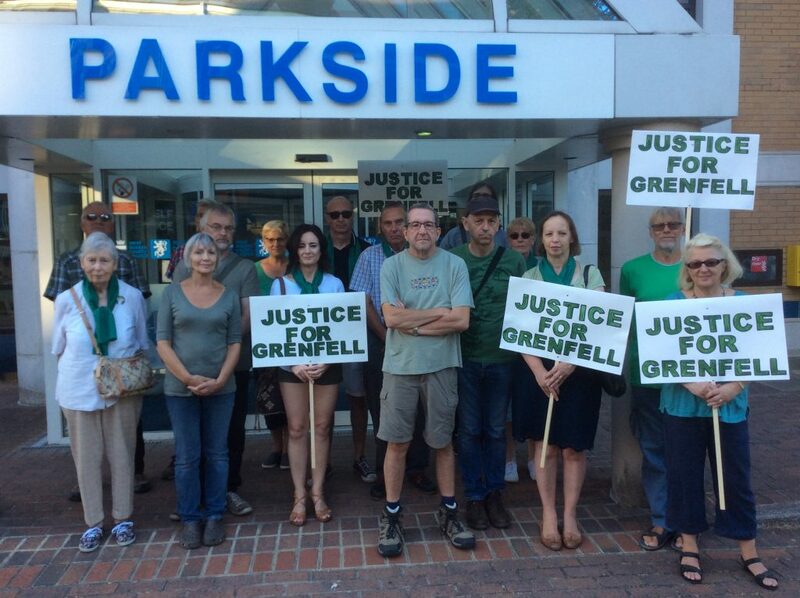 The objective of these walks is to maintain a focus on Grenfell to ensure that those responsible are brought to account and those effected are appropriately compensated and receive justice as soon as possible. Walkers processed silently from the Friends Meeting House through the town centre to Horsham’s council offices where in his supporting speech, David Hide, Chair of Horsham Labour Party, highlighted the need for those in power to always fully address their responsibilities to those to whom they owe duty of care.